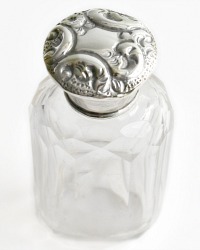 Fine luxury quality English Cut Crystal Perfume Bottle with a Sterling Top. 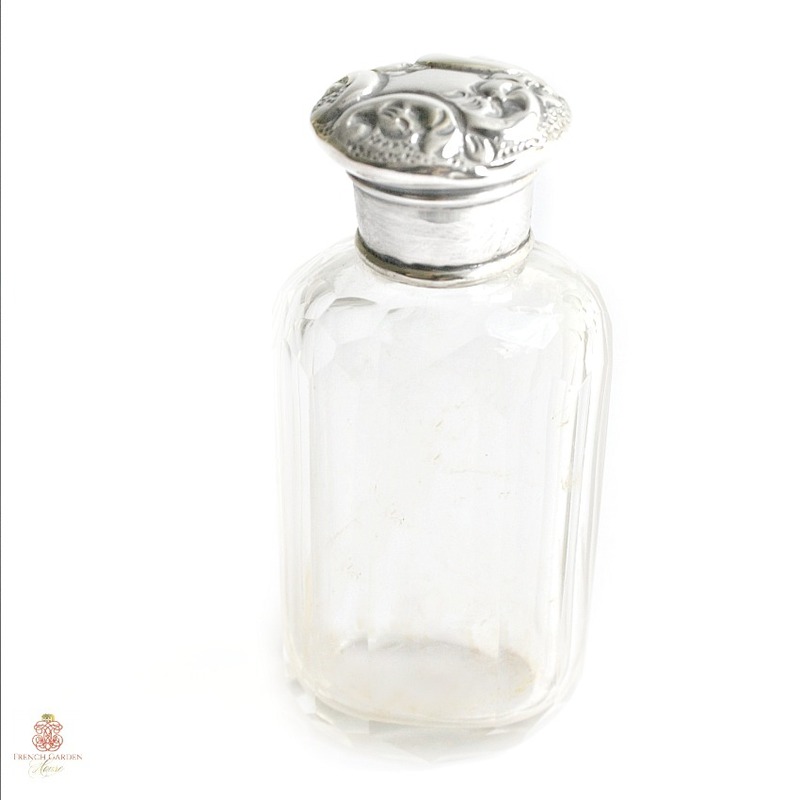 A lovely size, the bottle has a delicate and feminine floral and scroll top that screws on. The paneled bottle is so decorative, together they make a statement of luxury on your dressing table. English impressed hallmarks for London and the year 1903, I can't quite make out the maker. 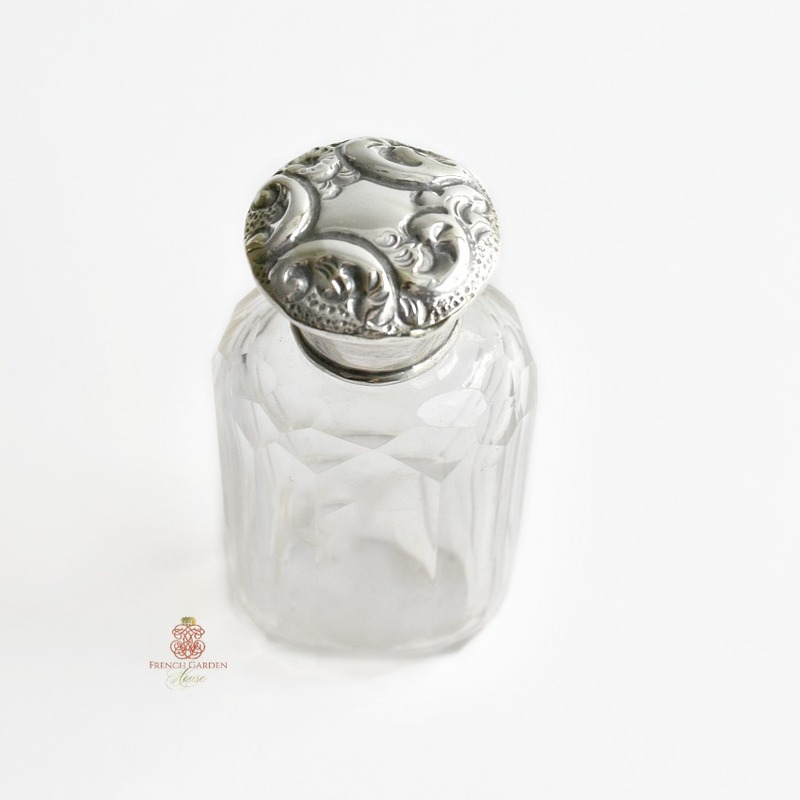 A beautiful addition to your collection, to display on your vanity or dresser with joy. 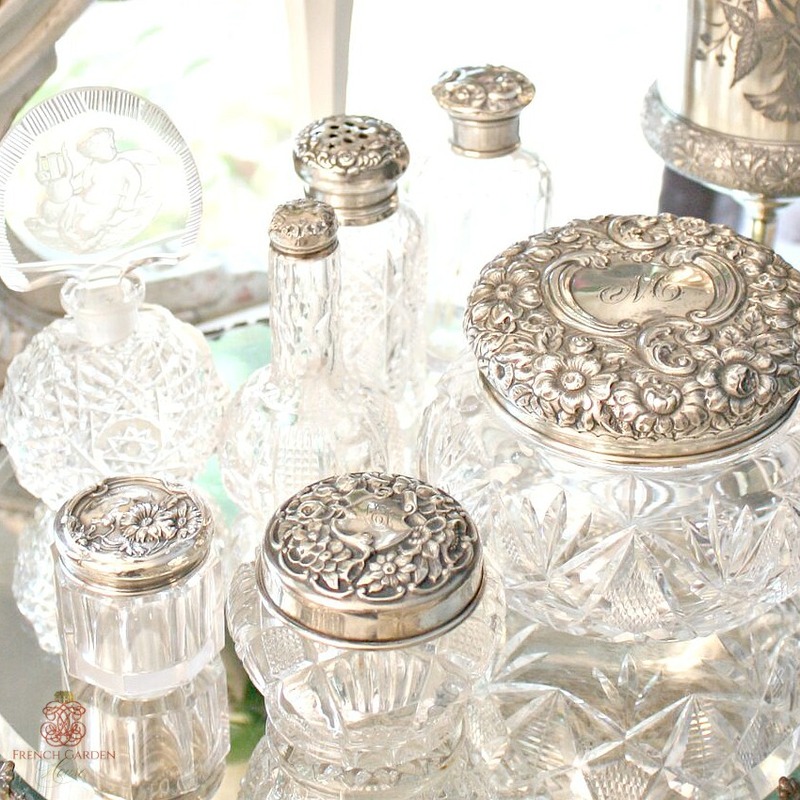 Last photo shows her surrounded by a few of her friends - jars and other bottles - on a mirrored tray. Measures 4-3/4"h x 1-3/4" x 1-1/4".